Horizontal Static Lines are excellent solutions to working at heights with minimal restriction. It allows personnel the freedom of movement whilst being connected to the system at all times. Anchored unique surface mount technology provides the flexibility to mount to many roof deck profiles, eliminating the traditional method of additional structure steel requirements. Anchored uses only cutting-edge technology and quality materials to offer a strong and durable product. Our static lines can be affixed to any structure, providing it is capable of supporting the required load in relation to fall protection. 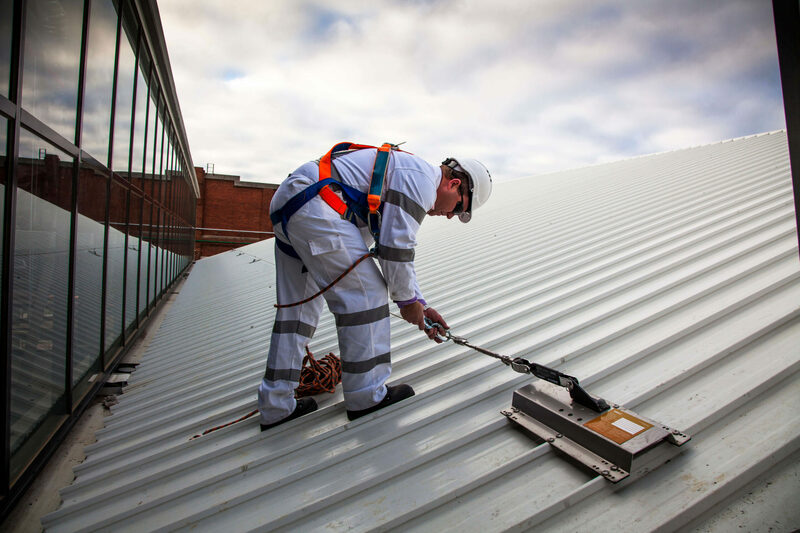 Our static safety line systems are professionally installed and ensure maximum protection while working at heights. Our static line systems are guaranteed to comply with Australian Standards.